All VERRADO PARCEL 4.802 homes currently listed for sale in Buckeye as of 04/19/2019 are shown below. You can change the search criteria at any time by pressing the 'Change Search' button below. 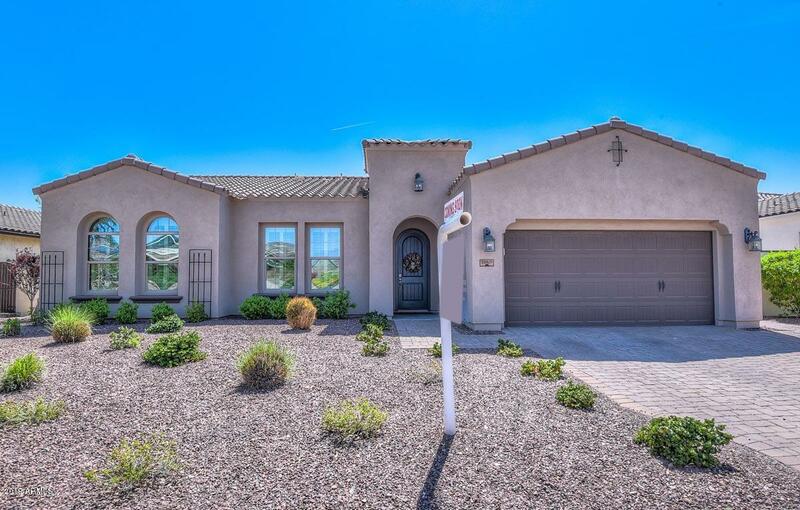 "Immaculate exceptional quality home in the heart of the community of Verrado. 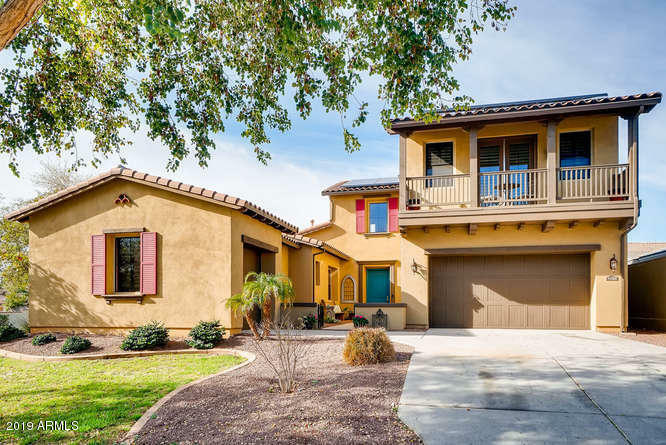 Perfectly restored to better than new this home boasts gorgeous engineered wood flooring, wood look tile, granite, soaring ceilings, TWO main floor owner suites (or one could be converted to separate casita easily). One of largest and most private yards on a corner site. Stunning pool with travertine decking. Freshly painted this home is like new inside and out. 3 car garage and the largest solar system available for"
"You will love this home! The solar is owned and the utility bills are low low low! This split 4 bedroom home features a large great room open to the beautiful kitchen with 42 inch cabinets, pull outs, stainless appliances and a large island with granite countertops. Entertaining outdoors will be fun with a beautiful outdoor kitchen w/ refrigerator, sink and grill. The patio is extended with pavers and has a natural gas fire pit area. The home is centrally located with in Verrado with a park"